Donors play a critical role supporting Australian charities, but we should not attribute them with more knowledge than they actually have, writes Krystian Seibert in this article which was first published in The Conversation. Last week, the government appointed Gary Johns to head the Australian Charities and Not-for-profits Commission (ACNC), the independent national charities regulator. Based on this, he said the ACNC should “assist donors to fulfil their charitable intentions”, by “helping the donor market drive the charity dollar to its most efficient and best uses” by providing information to donors they can use to judge the “state of the market”. Johns’ approach seems to reflect a view that altruistic behaviour like charitable giving is based on similar motivations and drivers as economic decisions such as purchasing a good or service. Consequently, if donors are given the useful and accessible information about charities, they will make decisions that reward charities that perform better than others. In theory, this will lead to a more “efficient” charities “market”. Whether charitable giving functions like a market is part of a broader and complex debate within the sector. It includes discussion about the role of impact investing, and using business-based approaches to tackle social challenges. Some ideas and approaches show great promise; others seem to not quite fit. Many of the challenges charities seek to tackle arise due to market failure in the first place, or the uneven distribution of the benefits of markets working like they are supposed to. Therefore, to aspire to build the charities sector in the market’s image may be a flawed starting point. And in relation to market-based approaches to charitable giving, the US experience is very relevant. In 2014, the Hewlett Foundation, a large US philanthropic organisation, decided to end its US$12 million Nonprofit Marketplace Initiative that started in 2006. Its ambitious goal was that, by 2015, 10 per cent of individual donations in the US would be influenced by meaningful, high-quality information about charities’ performance. As part of its strategy, it provided funding to “charity evaluators”, including Charity Navigator, GiveWell and Guidestar. They seek to assess charities’ financial and other information to give donors information they can use to guide their decisions. The Hewlett Foundation’s own evaluation found that while the initiative succeeded at producing more information about charities, it did little to change donors’ decisions. Research undertaken in 2010, four years into the initiative, found that only 3 per cent of individual donors compare information about relative performance when deciding which charity to support. It also found that a majority of donors make giving decisions based on factors like loyalty, personal connections, and faith-based commitments. Studies looking at the effectiveness of charity evaluators also back up these findings. They show just how problematic it is to expect donor behaviour to adhere to “market-based” frameworks. A study that examined how donors respond to ratings of charities such as those provided by Charity Navigator found that, in general, they have a minor and often insignificant impact on donor behaviour. Another study found that changes in charity ratings tend not to affect donor support. The Giving Australia 2016 report echoes these findings. It found that “making a difference, personal values and relationships motivate givers”. Charity performance was far down the list of motivations for giving. What now for charities in Australia? Charitable giving takes many forms and is driven by numerous and complex motivations – from reflexive and generous responses at one end of the spectrum to planned and structured giving in pursuit of specific objectives at the other. The latter approach is what we generally think of when referring to “philanthropy”. One of philanthropy’s strengths is that it takes risks to help drive social progress. The outcomes of this risk-taking can often then be used to inform government policy. The Hewlett Foundation’s experience in this regard should provide a valuable insight into the extent to which market-based approaches should be applied to charitable giving in Australia. It does not mean that we should disregard the value of providing information about charities to donors: quite the opposite. Financial and performance information is important for due diligence purposes regarding the operations of a charity. But we should not overstate the influence of such information on donor decision-making, nor assume that such information will necessarily drive improvements in charity “efficiency”. Johns says he wants “to have the ACNC develop and apply a taxonomy of charitable causes to the ACNC”. It would certainly be worthwhile to adopt a consistent terminology for charitable causes in Australia. The global gold standard for this is the Foundation Center’s Philanthropy Classification System. CLASSIE is an Australian taxonomy that builds on the Foundation Center’s. Although charities must submit reports to the ACNC consistent with the Australian accounting standards, there is great variation in how these standards are applied – for example, in relation to fundraising expenditure. This means meaningful comparisons of charities’ financial information is difficult. It would be beneficial to consider introducing charity-specific accounting standards in Australia, as the UK has done. Whatever the next steps may be, the social challenges charities tackle are complex, and strategies to address them will take time to have an impact. Often conventional metrics of performance just don’t cut it when it comes to such long-term challenges. And, in most cases, donors will have far less knowledge about social change than those working for the organisations they fund or the communities in which those organisations operate. Donors provide the funding that brings to life the expertise and experience of those who receive it for the public benefit. Donors play a critical role supporting Australian charities, but we should not attribute them with more knowledge than they actually have. 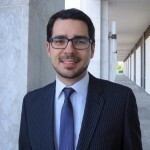 About the author: Krystian has broad experience in public policy development, and an in-depth understanding of government, legislative and political processes, with particular expertise in not-for-profit sector policy and in regulatory reform. He is the advocacy and insight manager for Philanthropy Australia, the peak body for the philanthropic sector in Australia. Prior to this, he was an adviser to a former Australian assistant treasurer, a role in which he oversaw the delivery of major not-for-profit sector reforms such as the establishment of the Australian Charities and Not-for-profits Commission. Krystian is an Adjunct Industry Fellow at the Centre for Social Impact at Swinburne University of Technology and a board member of Mental Health First Aid Australia.